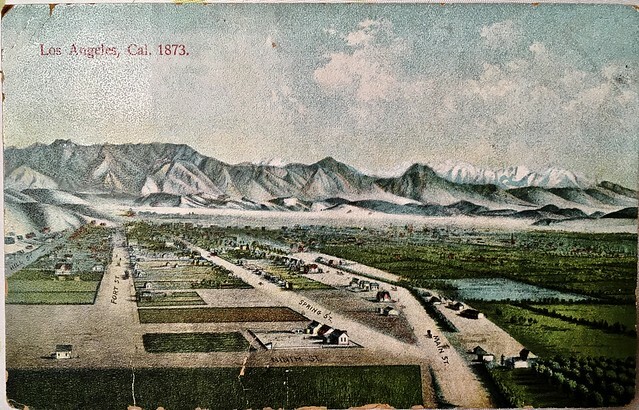 Throwback Thursday: Vintage postcard of the City of Angels in 1873. That's Spring Street down the middle, along with Main Street and something called 'Fort Street'. And yes, a bit of Marie Kondo-ing has been taking place around here.